What is underinsured motorist (UIM) coverage? UIM coverage is a type of insurance that is not mandatory in Missouri, but everyone should have. Generally, it is a coverage that you pay a premium for with your own insurer, which will provide some protection if you are involved in a car wreck where the at-fault driver did not have enough insurance coverage to cover your damages. 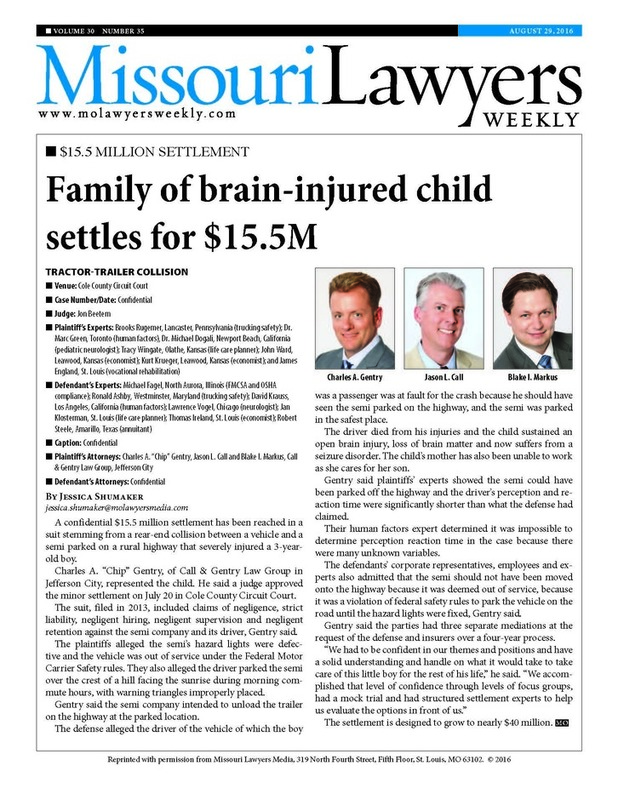 In Missouri, drivers are required to carry a minimum of $25,000 in liability coverage. However, one night in a hospital can easily reach over $25,000. So if you have $75,000 in medical bills, and the driver who hit you only has $25,000 in coverage, you will still be out $50,000 after exhausting the driver’s limits. This is where UIM comes in. Before some recent decisions by the Missouri Supreme Court, if you had $50,000 in UIM in our scenario, you would get all of your medical bills paid. However, that may no longer be the case, depending on your insurance company. Some insurance companies such as Shelter, Auto Owners, and others have been putting provisions in their UIM coverage policies stating they get to offset, or reduce, your UIM limits by whatever the at-fault driver had in liability limits. In the above scenario, this means that even though you paid Shelter or Auto Owners for $50,000 in UIM coverage, they will only pay you $25,000 because they get to subtract the first $25,000 you received from the at-fault driver. The absurd part of this is that the at-fault driver will always have at least $25,000 in coverage, which these insurance companies will deduct from the limits you paid for. So they are taking money from you, for which you will never see a benefit, and the Supreme Court of Missouri has just ruled that this is permissible. So what can you do about it? First, avoid like the plague the insurers that use these offset provisions for UIM, such as Shelter and Auto Owners. The old saying goes, "insurance companies only make money by denying claims, not paying them." So why pay a policy premium to an insurance company who is writing exclusions into their policy that will harm you from the start? Second, use an insurance agent to obtain auto insurance for you. An agent is beneficial because he can help you find the lowest rate for the coverage you need, and can help you find an insurance company whose policy does not subtract the liability limits of an at-fault driver from your UIM coverage. However, you should make sure to get that in writing from the agent that the policy he or she is getting for you is one that does not have an offset of UIM for liability limits of an at-fault driver. Finally, make sure when you get UIM coverage, you get at least $100,000 in limits of coverage. In the event that an insurer sneaks unfavorable language into the policy, this will at least ensure that if you are struck by an insured at-fault driver, you will have at least $100,000 in total coverage, even with offsets. Most highly paid professionals carry significantly more insurance than this, and if you earn a high wage, it would be prudent to get at least $250,000 to $1 Million in UIM coverage. There are too many people driving around with only $25,000 in liability coverage, and with the current cost of medical bills in the United States, that will not go far.